Whatever else it was, yesterday's verdict in the appeal of Bahrain's opposition leaders was certainly not a surprise. 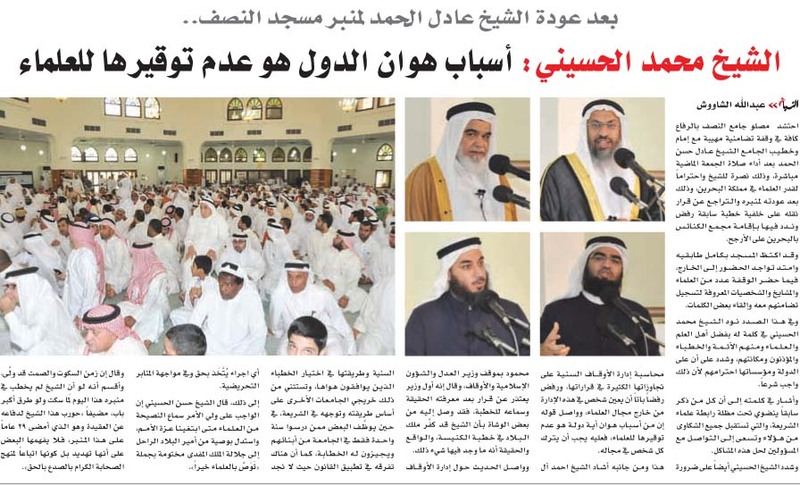 After a week in which the Minister of Justice was forced to retreat on a decision to relocate a critical Sunni cleric after protest from ordinary citizens and a "meeting" with Sunni 'ulama', it is difficult to see how the state could have weathered the storm of criticism that would have followed from an acquittal or even from reduced sentences for the main accused. (The sentence of one individual--Al-Har Yusuf Mohammed Al-Sumaikh--was reduced from 2 years to 6 months.) If Bahrain is unwilling to confront its nominal Sunni support base even over a minor matter, in other words, what were the chances it would initiate a much fiercer fight over the fate of opposition leaders--opposition leaders it has spent the previous 18 months demonizing as Iranian-backed terrorists? 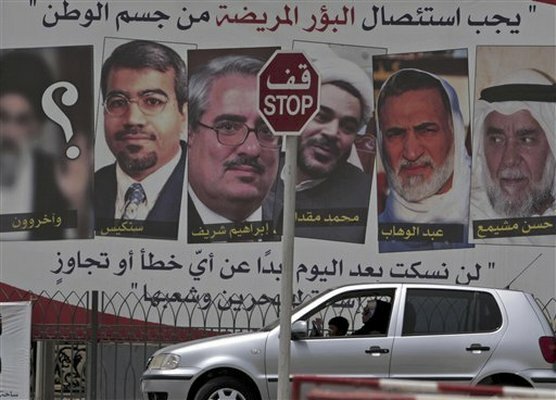 In this sense, the outcome of the trial was determined long ago, back when 20-foot-tall billboards all across the island proclaimed the guilt of Bahrain's conspirators. "Disease," they read, "must be excised from the body of the nation: from now on, we won't keep quiet about any mistakes or excesses by those who abuse Bahrain and its people." Unfortunately for Bahrain, including for the government itself, these words would prove prophetic. The subject in this case, security-minded Sunni citizens, have indeed kept their word, refusing to "keep quiet" either about those seen as breaking the law with continued protest activities, or those deemed lax in enforcing it, including King Hamad himself. Even today, following the confirmation of the original verdicts, Sunni message boards are dominated by those who want the state to go even further. As some are happy to celebrate the court's decision, another popular thread argues, "We need to go back to the State of National Security." 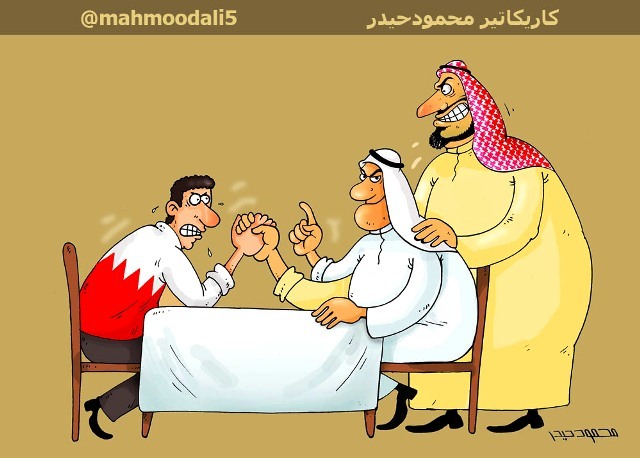 Such is the catch-22 in which Bahrain finds itself: having fanned the flames of sectarian politics for so long, how can the government begin to pull the country back from the brink without igniting an even wider political conflagration by alienating its critical support base? At the same time, of course, Bahrain's appeasement of security-oriented citizens and royals (an action that includes also the recent arrest and conviction of Nabeel Rajab) serves only to further radicalize the Shi'a- and secular-led opposition, as the latter perceives increasingly little chance of a political resolution either of their post-uprising grievances or of their decade-old constitutional demands. The formal opposition has already announced mass demonstrations for Friday, while the U.S. Embassy in Manama has warned its citizens to brace for "72 hours" of potentially-violent protests. The Reuters report on the court sentences quotes Jane Kinninmont as saying that "authorities may be trying to show their strength ahead of a planned dialogue with political societies." The article continues, "[She adds] this could backfire if protests and clashes escalated." Quite an understatement! In fact, the behavior of the opposition is only half of the government's problem with regard to a possible resumption of talks. Unless they have solved the riddle that has precluded dialogue since March, namely how to hold talks about political reform without the participation of Sunni groups that have substantive political demands of their own, it is very difficult to see how any dialogue will be able to proceed. The time may come when the Al Sa'ud have bigger things to worry about than opposing a constitutional reform movement in their tiny island neighbor. King 'Abdallah is once again in New York seeking medical treatment, and the (also-ailing) crown prince is the last of a generation of leaders, with no clear successor in sight. Even more worrying, a new eye-opening report by CitiGroup suggests that by 2030 Saudi Arabia may be a net oil importer due to rising electricity demands, which are increasing at around 8% per year. But that time has not yet arrived. I fully understand the constraints on the Obama administration by the current elections season, but Bahrain cannot continue business as usual. I don't think it will be long before that island country blows up in our faces in a big way. When you have angry Shia, "jihadist" Salafis, and xenophobic Sunnis in agreement against the US because of our perceived inaction (Shia), anti-Islam posture (Salafis), and pro-reform tendencies (Sunnis), Washington should take notice lest we truly become part of the problem. The Saudi driven Sunni strategy is rapidly reaching a dead end. 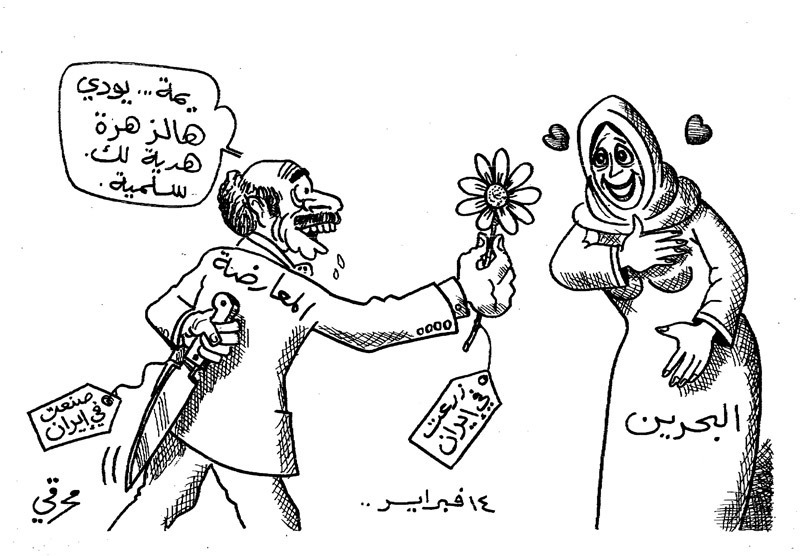 A cartoon from the main Sunni forum summarizes their view. Update: A front-page (and 172-point font) headline in the Gulf Daily News warns citizens and diplomats to "RESPECT TERROR COURT VERDICTS!" The article cites a "comprehensive statement" issued by the Bahraini Human Rights Ministry that "rejected 'any intervention by any state'" in the case. United States: you're on notice! Update 2: Emile Nakhleh develops many of the arguments here in a new op-ed, "Bahraini Repression Amidst a Failing Strategy." Do you think that they will shutdown Al-Wefaq for good this time? Do you expect that the shutdown of Al-Wefaq will lead to a real change in Bahrain (because people will become more radical), or this will be the end of revolution? Given that the Ministry of Justice and Islamic Affairs has made similar threats at least twice already (once actually dissolving the society, only to reverse the decision under outside pressure), it's hard to say. I don't see what Bahrain would gain now from such an action apart from further pleasing security-minded individuals (but they must already be happy by the recent court verdicts, so why now?) or enabling the state to go after al-Wifaq leaders (but, again, why not wait until pressure builds again from those advocating harsher security measures against the opposition?). Justin, I recommend you release the content of this blog under a CC license such as: CC BY NC. This would make it more copy-paste friendly while still giving you credit for it.